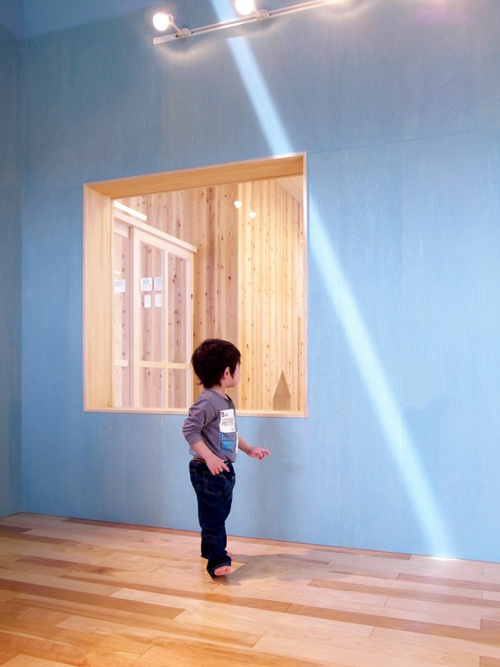 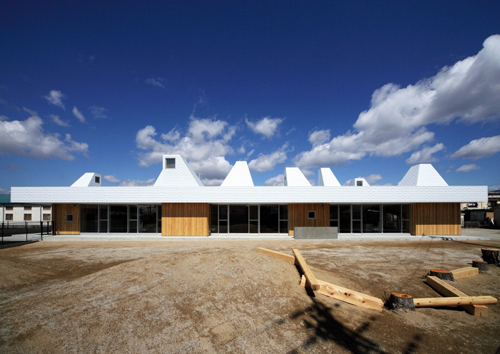 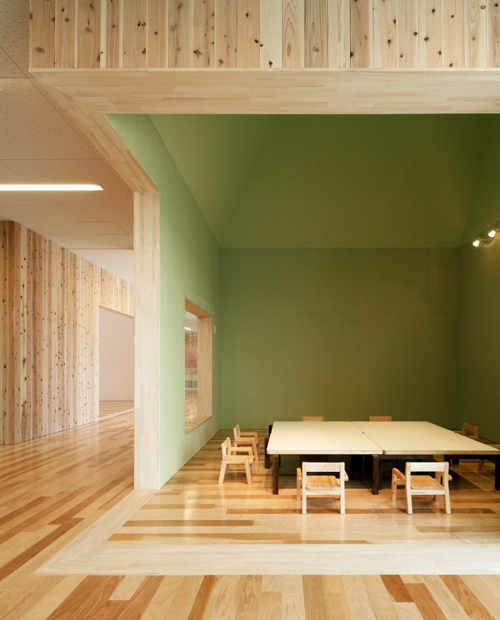 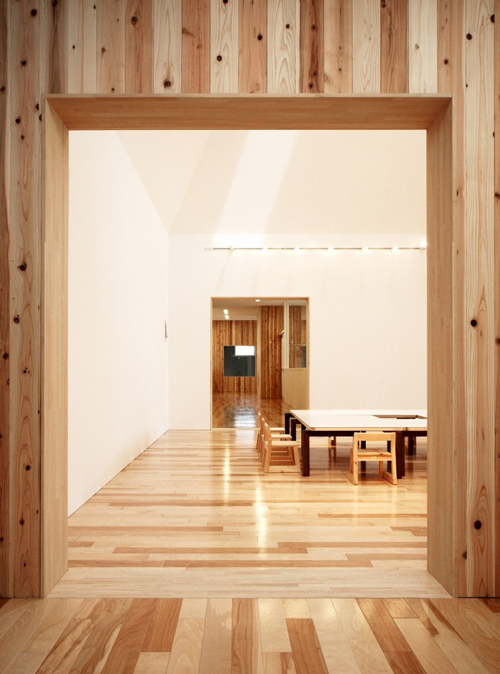 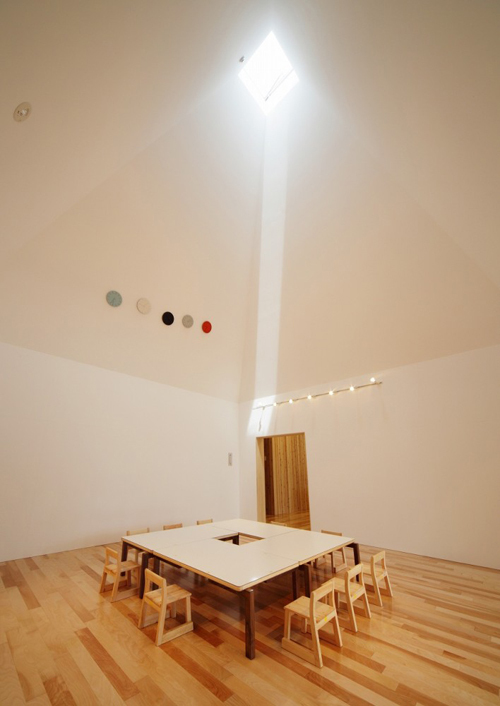 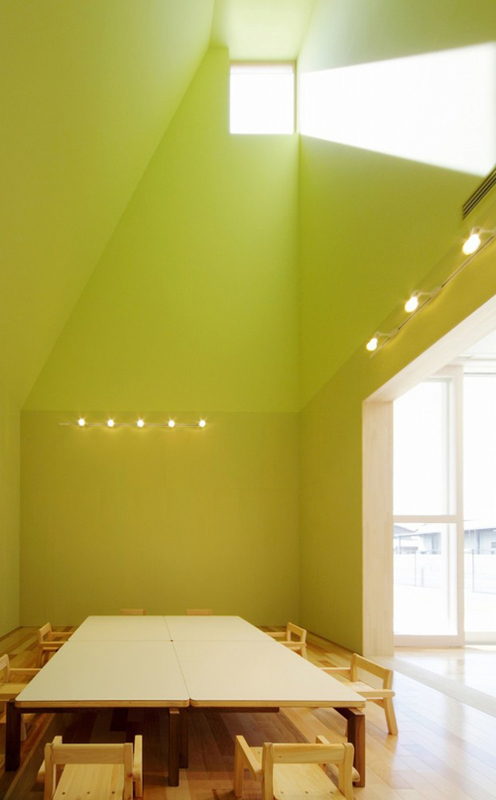 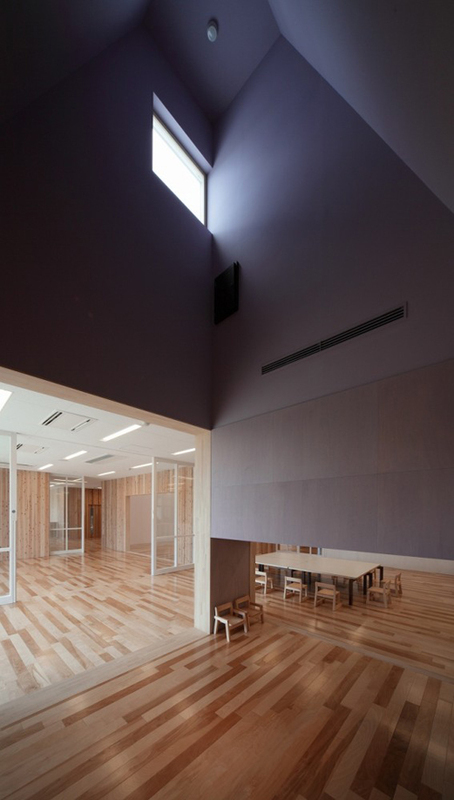 A new early childhood centre on the outskirts of Nagahama city in Shiga that is designed to give feelings of transparency with room that are 'houses of light' - square, colourful light-wells, which arouse different moods and changing light patterns. 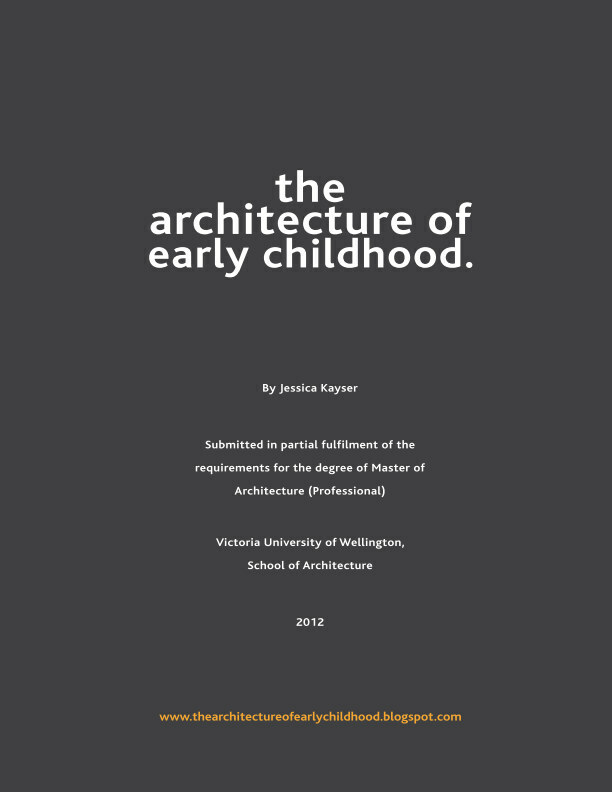 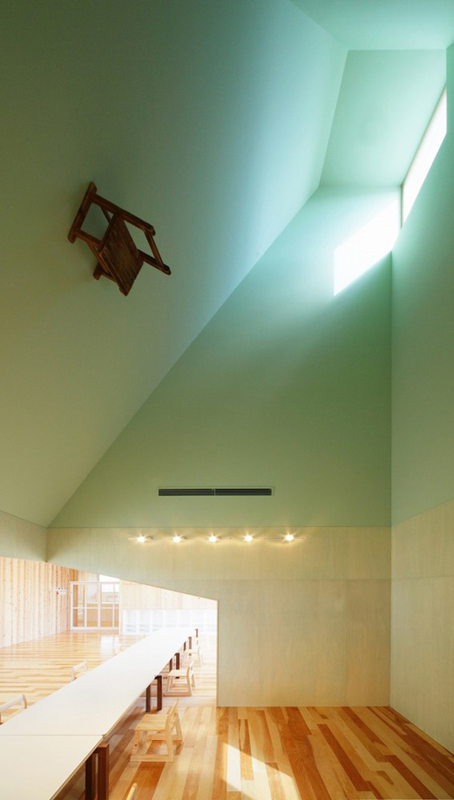 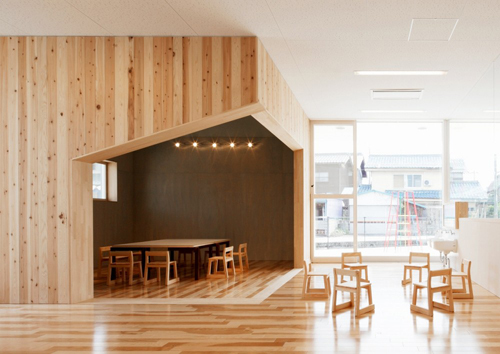 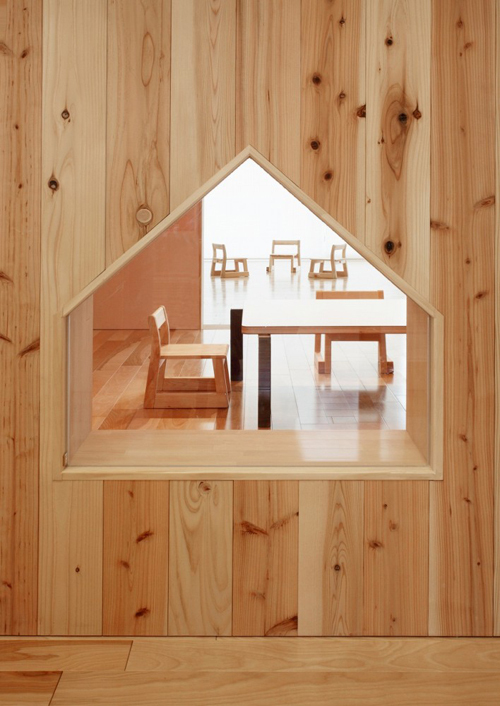 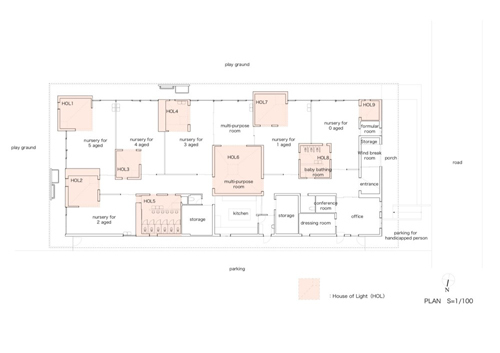 The use of 'light wells' seems to be a common trend within contemporary early childhood centres, fitting with the idea of interesting ceiling planes, which is known to interest young children. 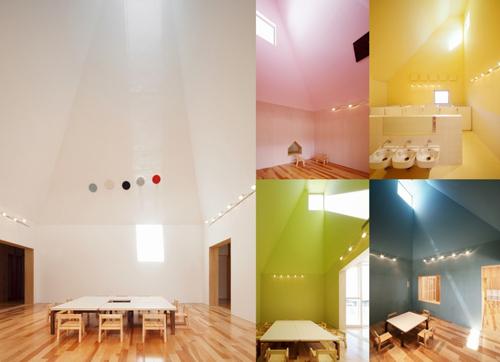 A mixed palette of colour, materials and forms makes for interesting and varying spaces. 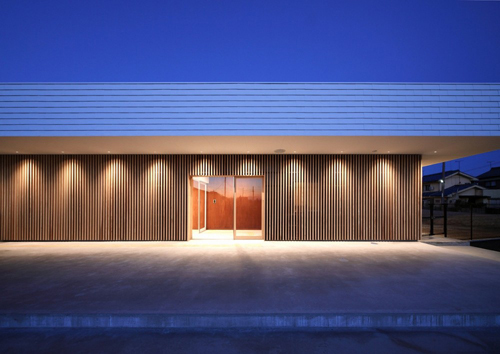 Would love to see the spaces in use, and the outside finished and in use.